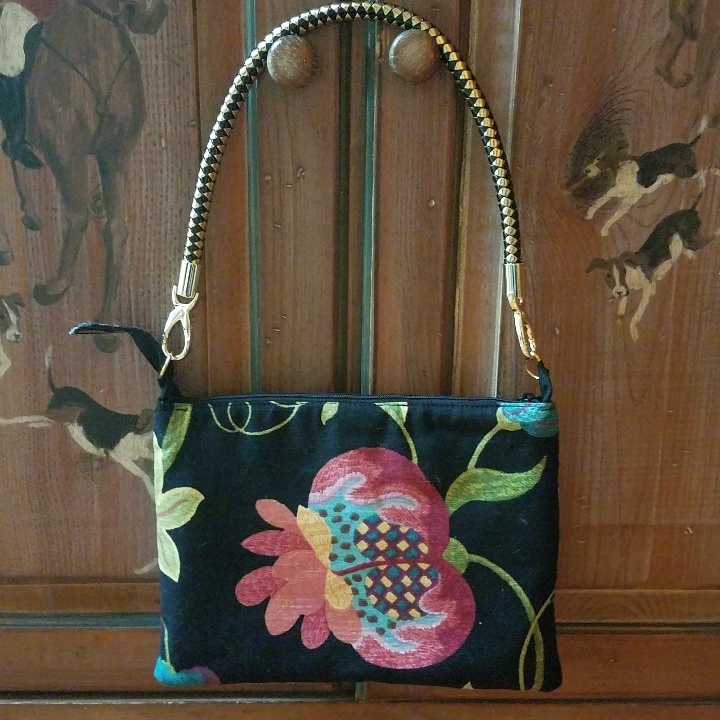 Convertible purse with one side in floral and one side in geometric print. Rosette trim. 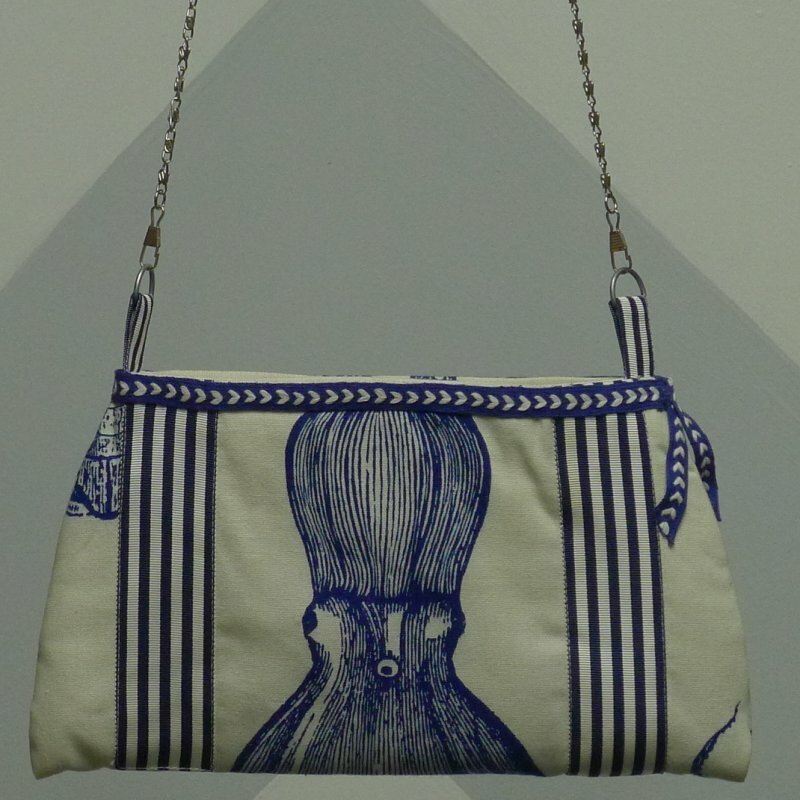 Carry as a clutch with flap folded over to either side and with or without the removable cross body strap. 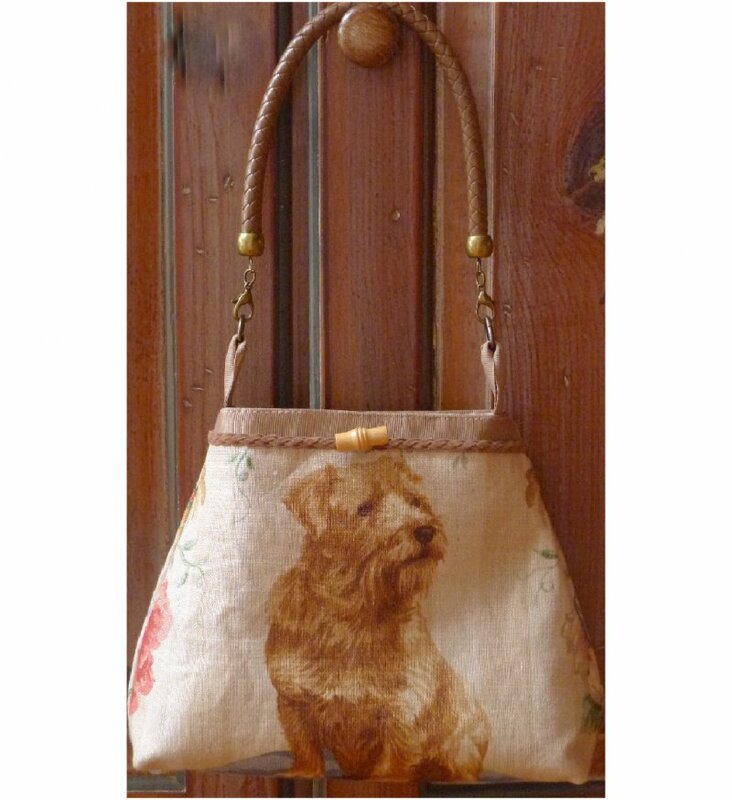 Or open the purse up to use as a large pouch. 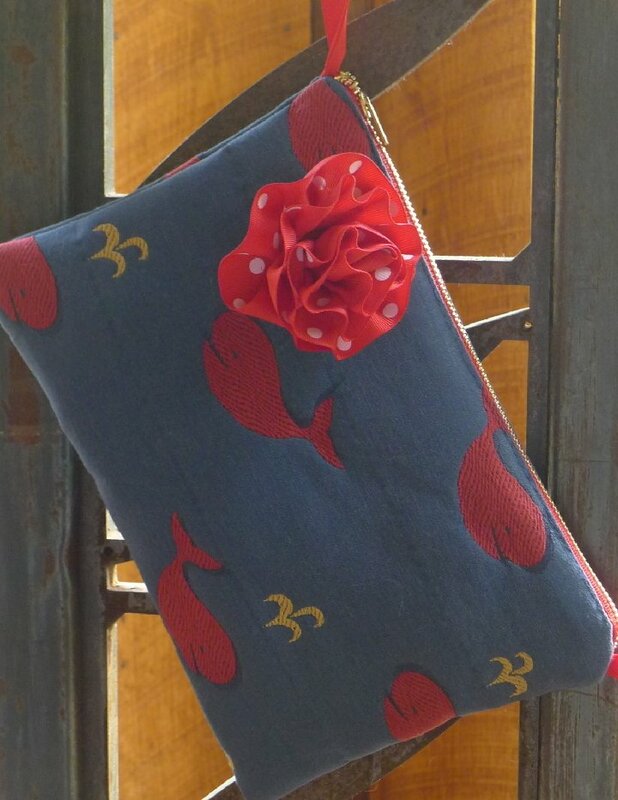 Pouch and zippered interior pockets. 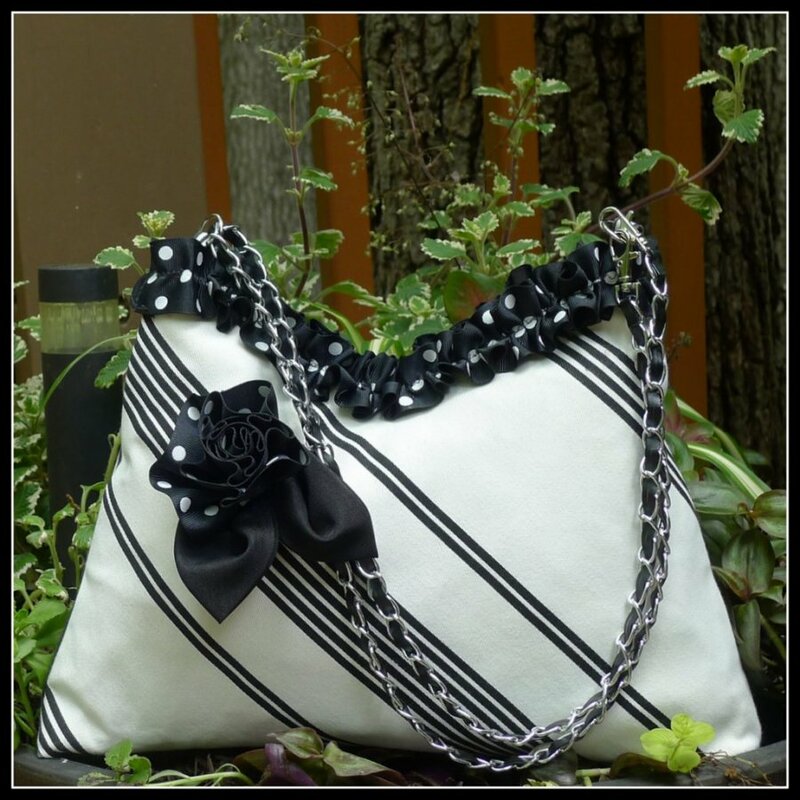 Convertible purse with each side in a different geometric print. 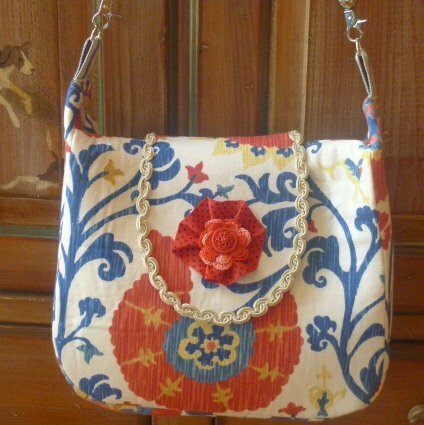 Rosette trim. 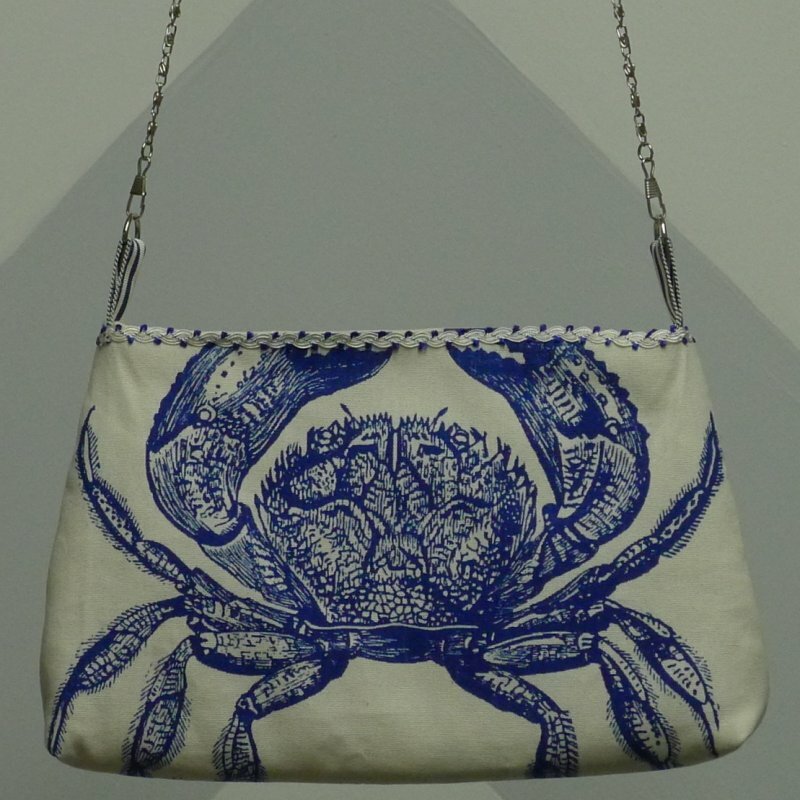 Carry as a clutch with flap folded over to either side and with or without the removable cross body strap. 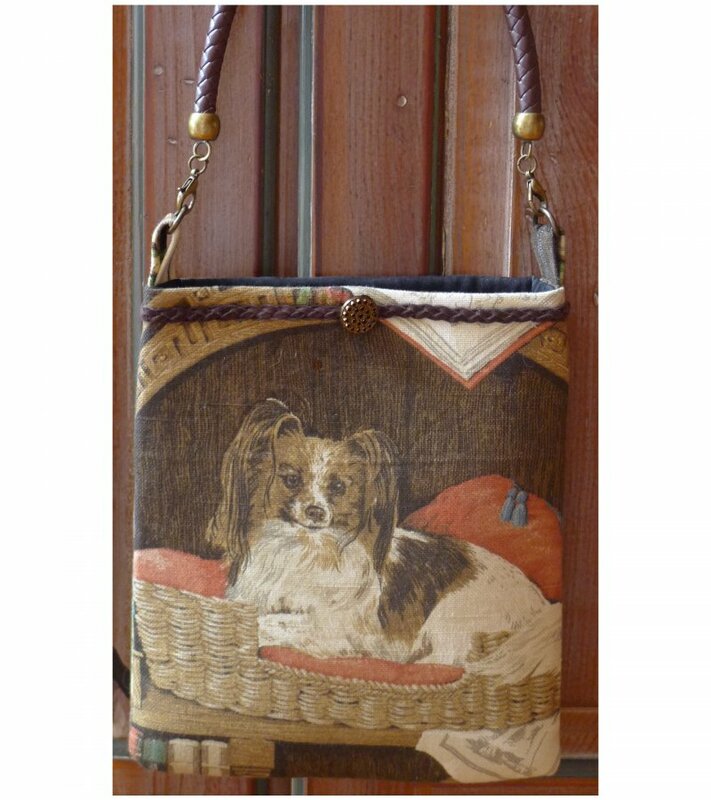 Or open the purse up to use as a large pouch. Pouch and zippered interior pockets. 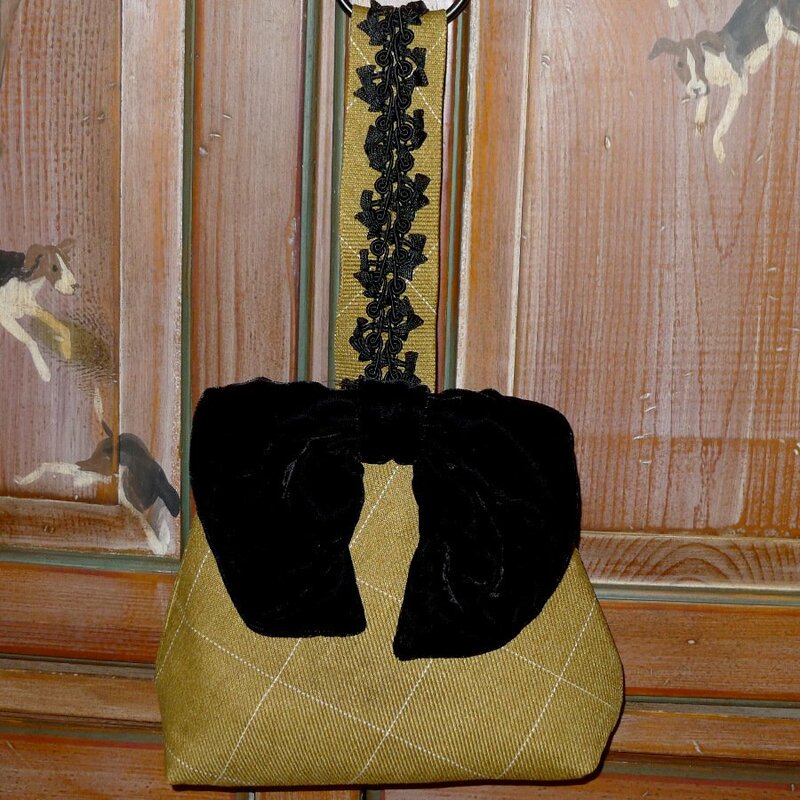 Convertible purse with one side of fur and one side of suede, tassel trim. 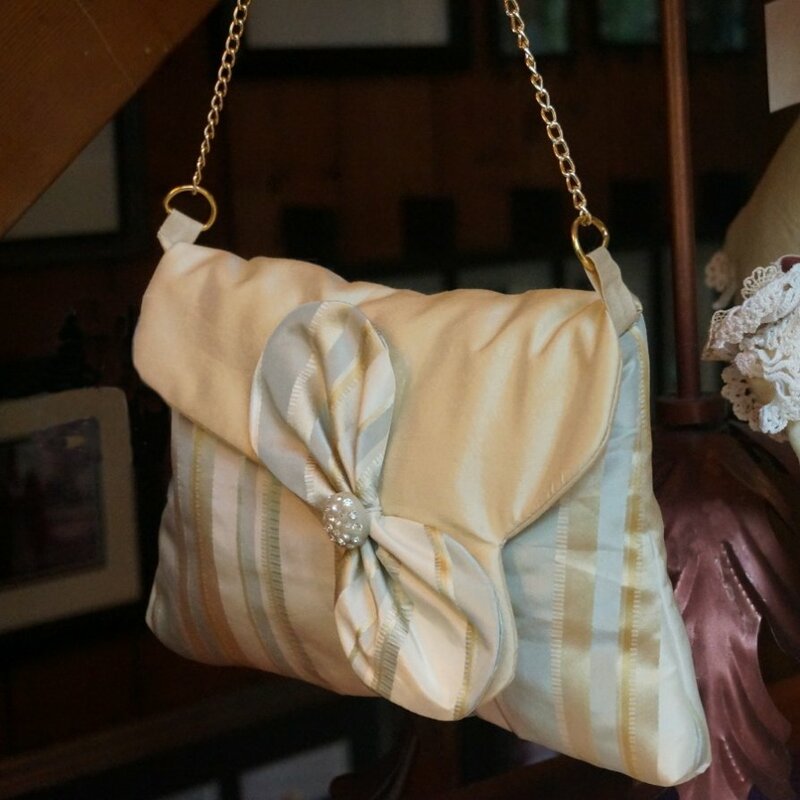 Carry as a clutch with flap folded over to either side and with or without the removable cross body strap. 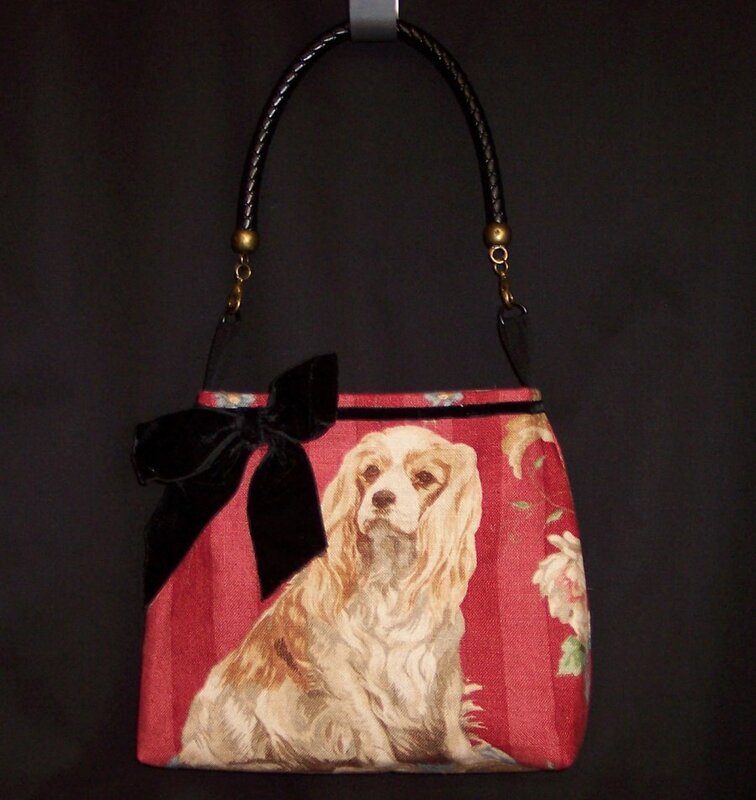 Or open the purse up to use as a large pouch. Pouch and zippered interior pockets. 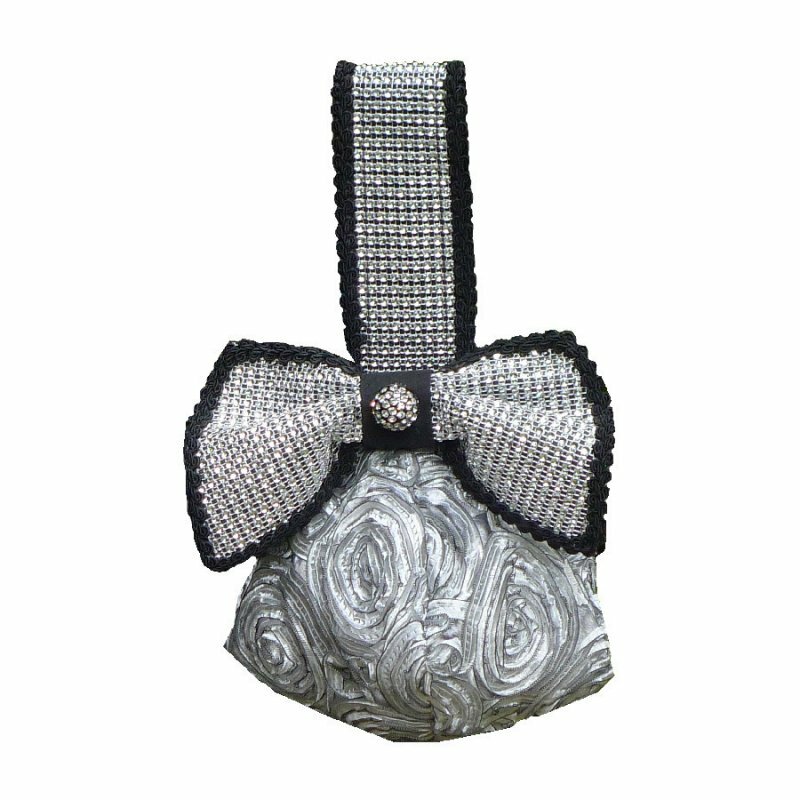 Available in black, amber or gray faux fur. 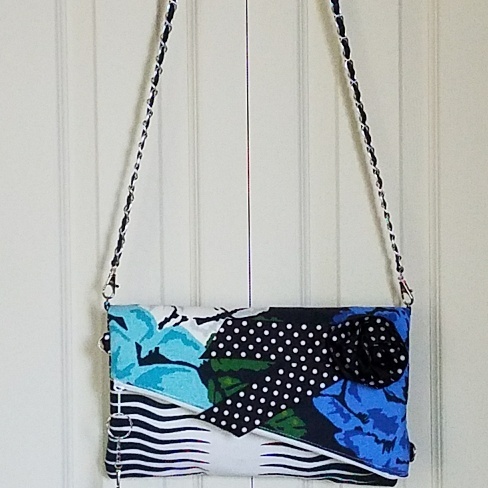 Convertible purse with one side in floral and one side in squares. 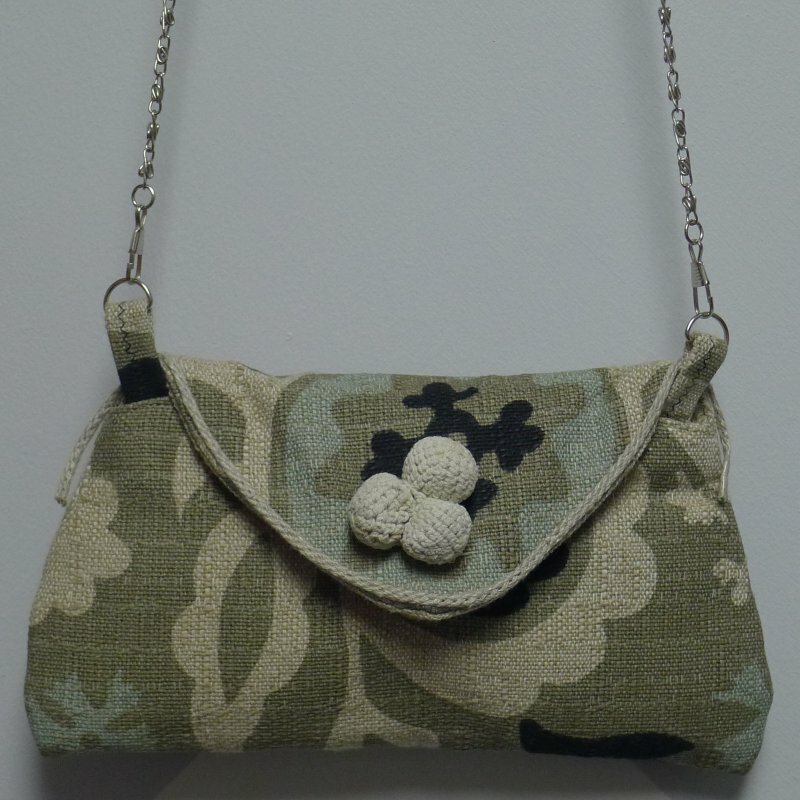 Carry as a clutch with flap folded over to either side and with or without the removable cross body strap. 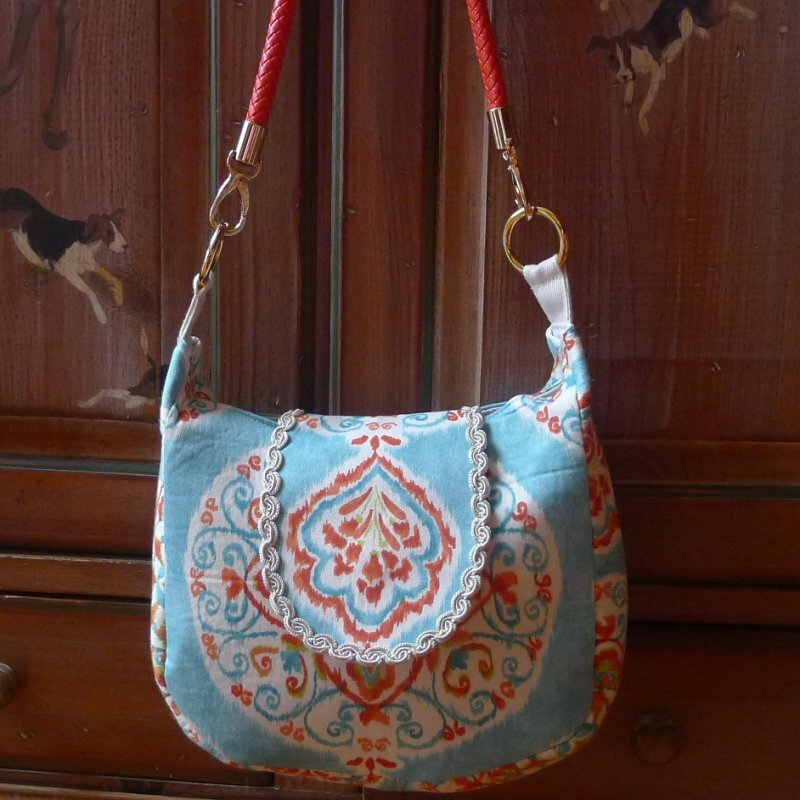 Or open the purse up to use as a large pouch. Pouch and zippered interior pockets. 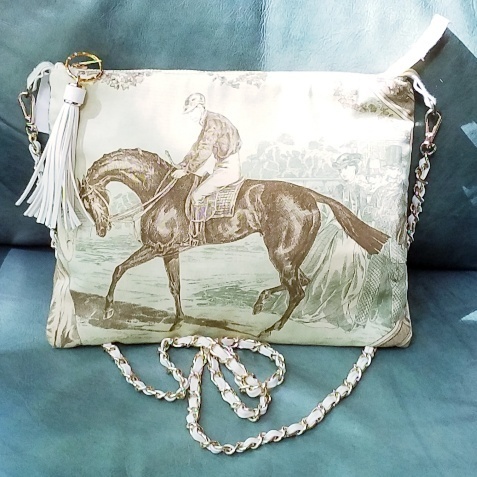 8×11 black and brown equestrian accessories clutch with removable braid strap and tassel trim. 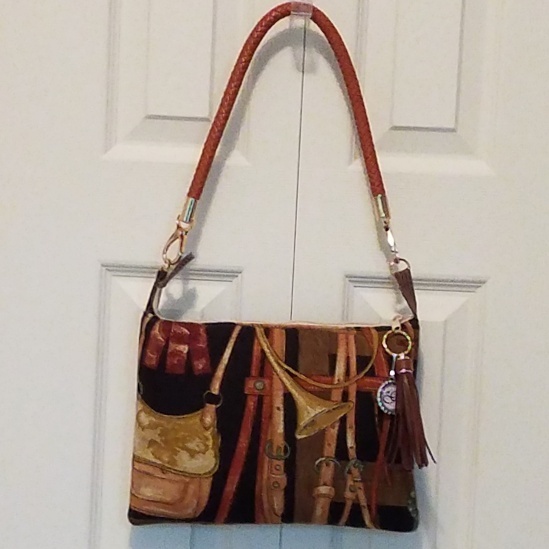 Brown and black stripe lining with pouch and zippered interior pockets. 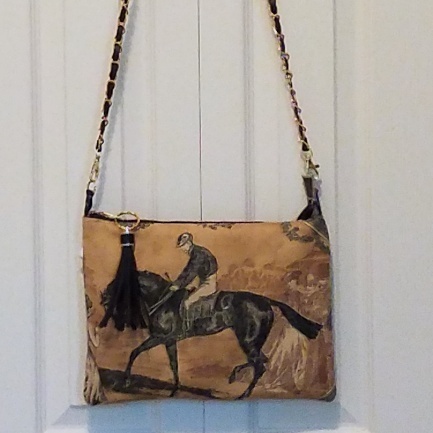 8×11 black/amber equestrian clutch with removable cross body strap and tassel trim. 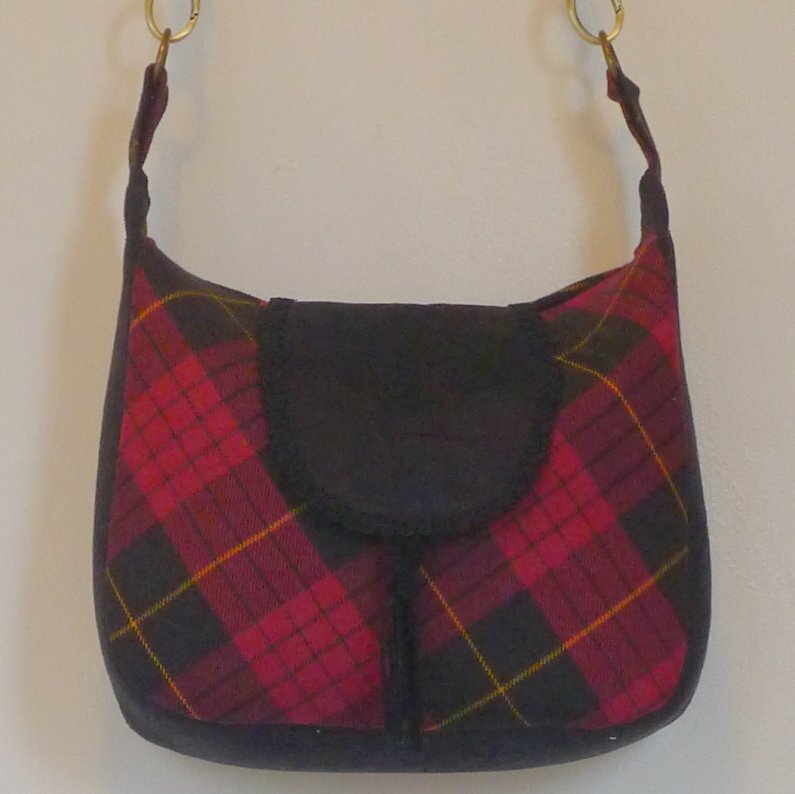 Buffalo check lining with pouch and zippered interior pockets. 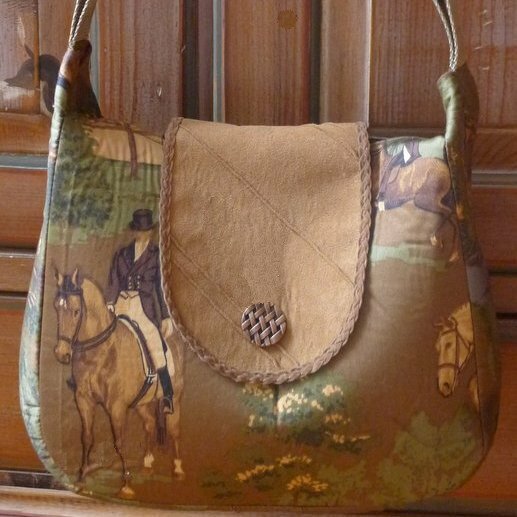 8×11 green equestrian with removable cross body strap and tassel trim. 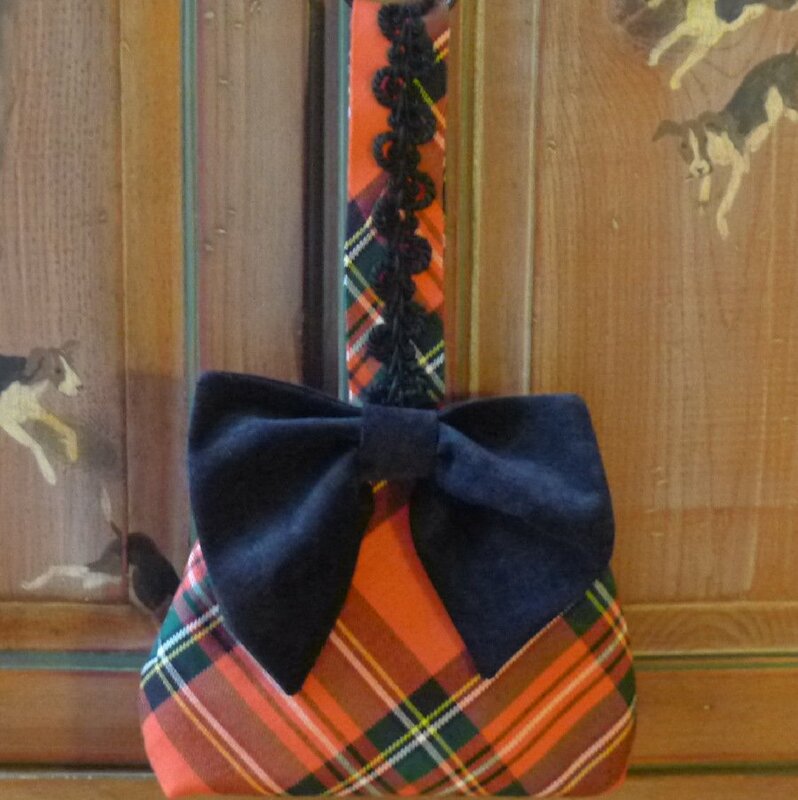 Green buffalo check lining with pouch and zippered interior pockets. 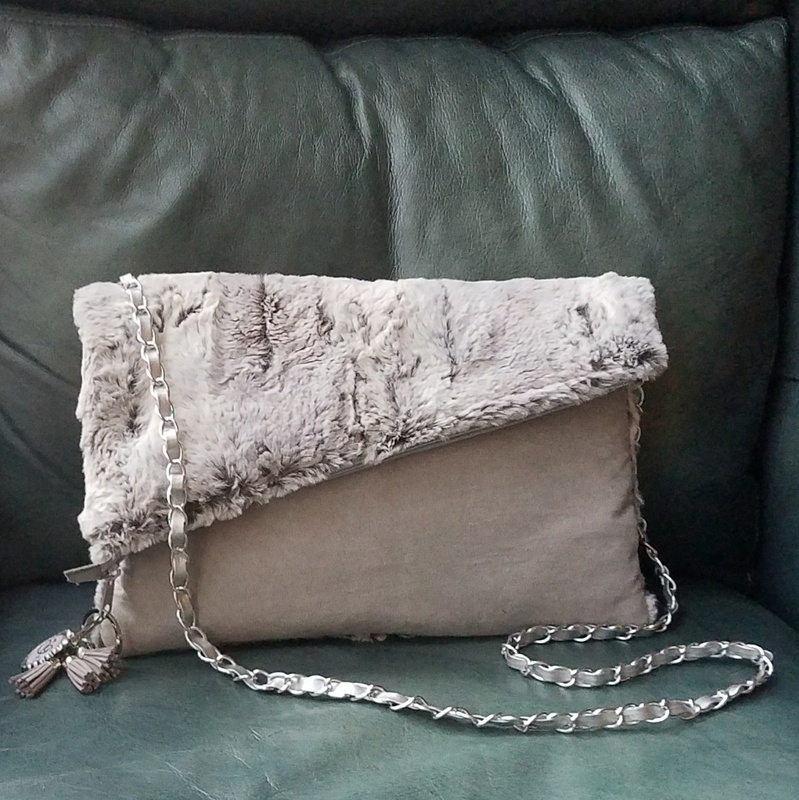 8×11 faux fur clutch with removable cross body strap. Pouch and zippered interior pockets. 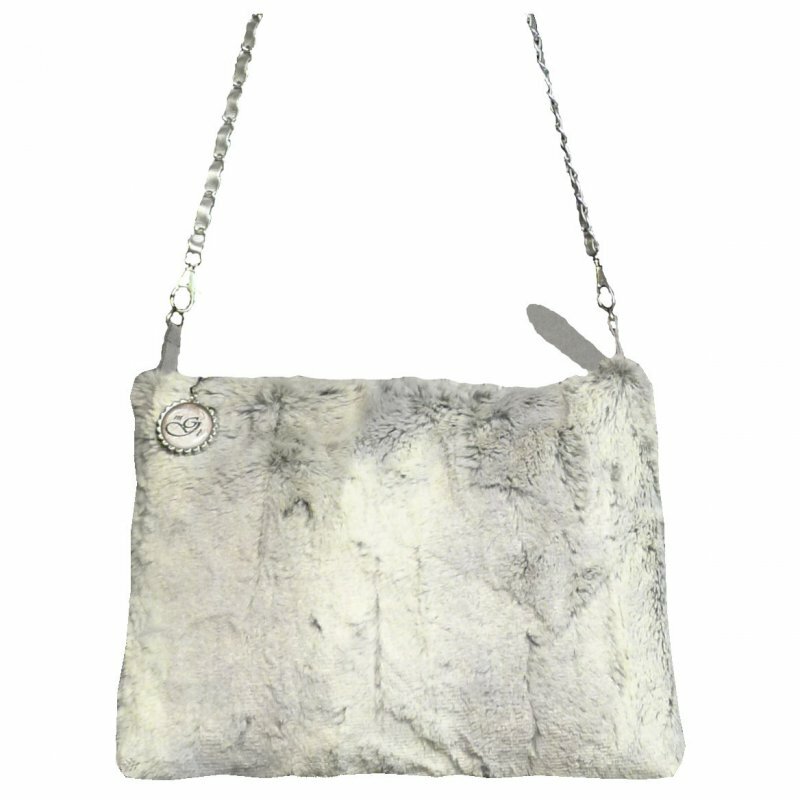 Shown in gray faux fur. 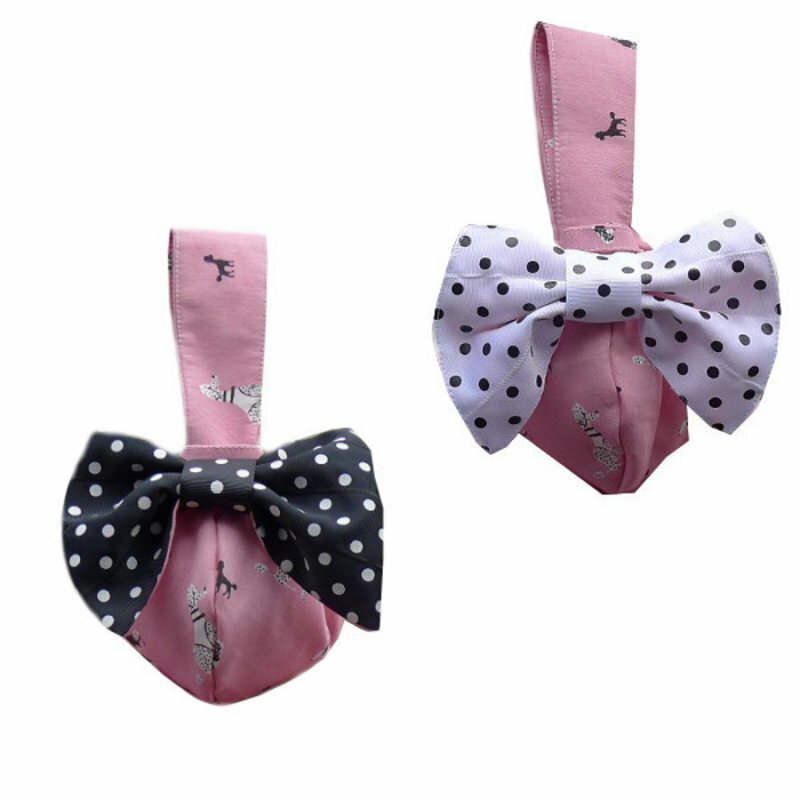 Also available in gray and black. 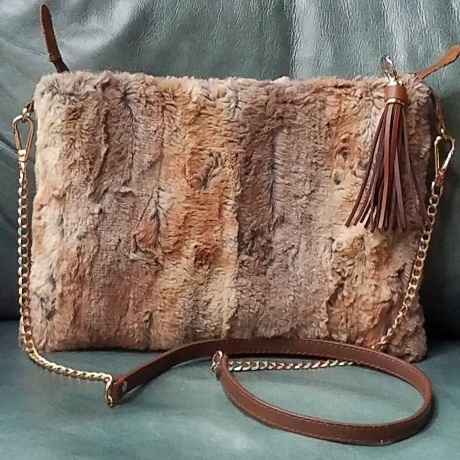 8×11 faux fur clutch with removable cross body strap. Pouch and zippered interior pockets. Shown in gray faux fur. Also available in amber and black. 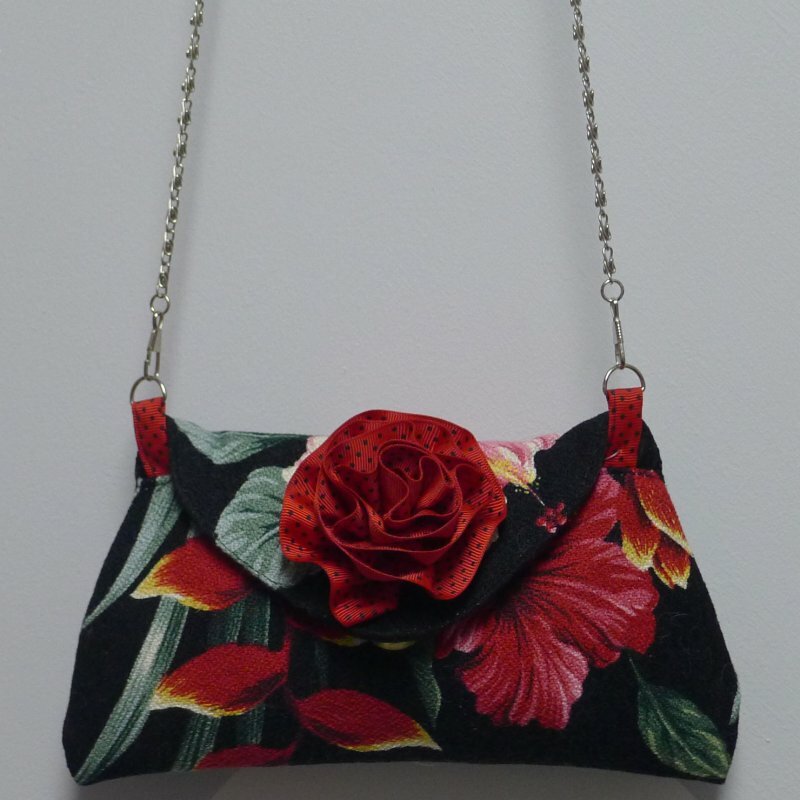 8×11 floral clutch with removable braid handle. 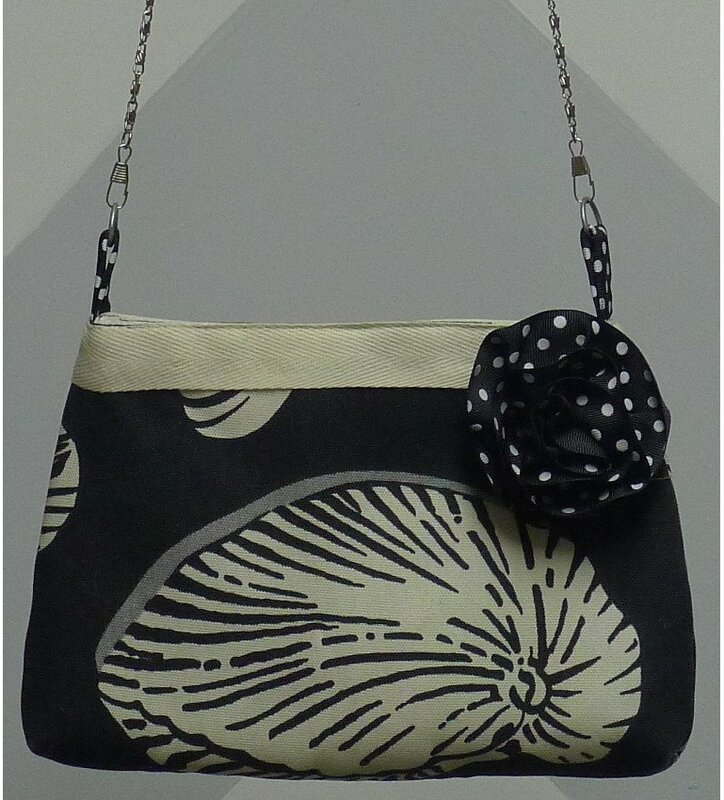 Black lining with pouch and zippered interior pockets. 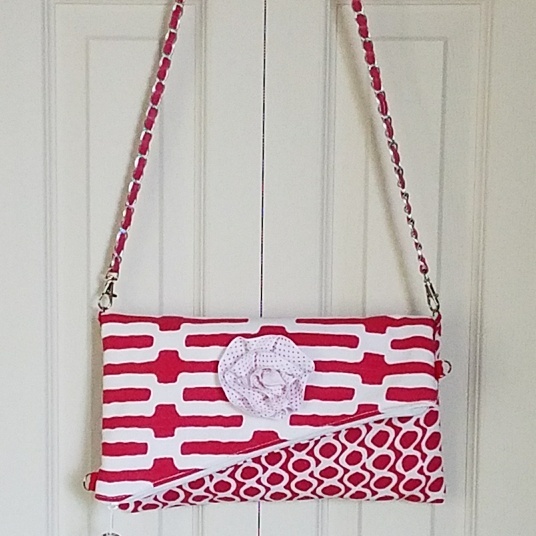 8×11 floral clutch with removable braid handle and rosette trim. 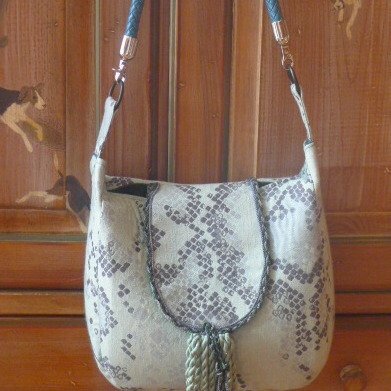 White lining with pouch and zippered interior pockets. 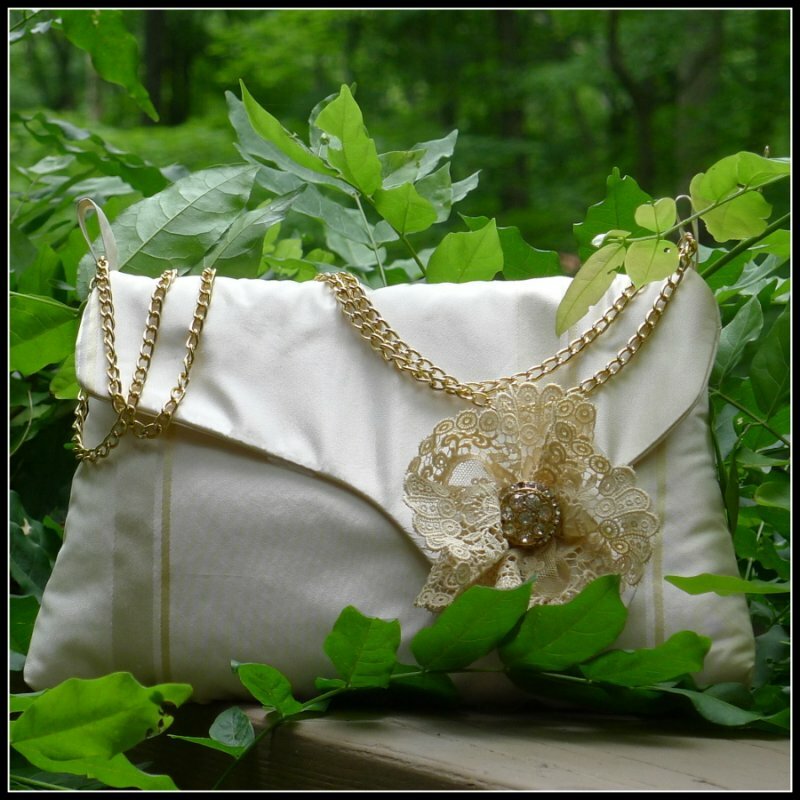 Dorris clutch purse in cotton sateen with curved flap and burlap, vintage lace and button trim, chain and PU leather strap. 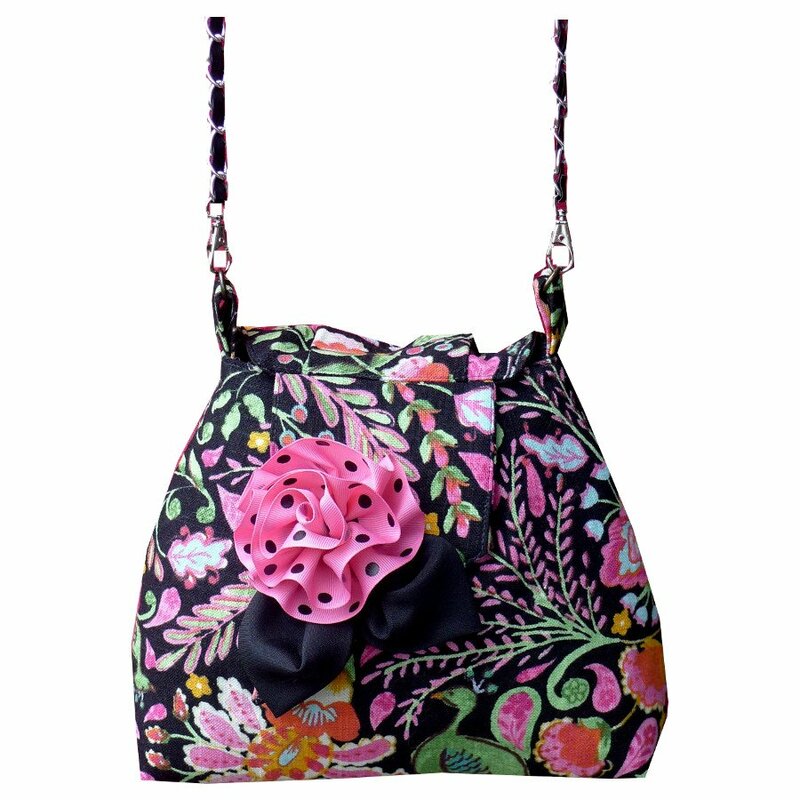 Large Messenger purse in tropical barkcloth fabric; flap with rosette trim; cross body grosgrain ribbon and web strap. 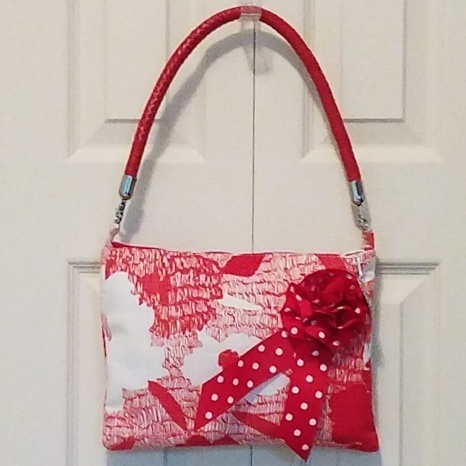 2 interior zippered pockets. 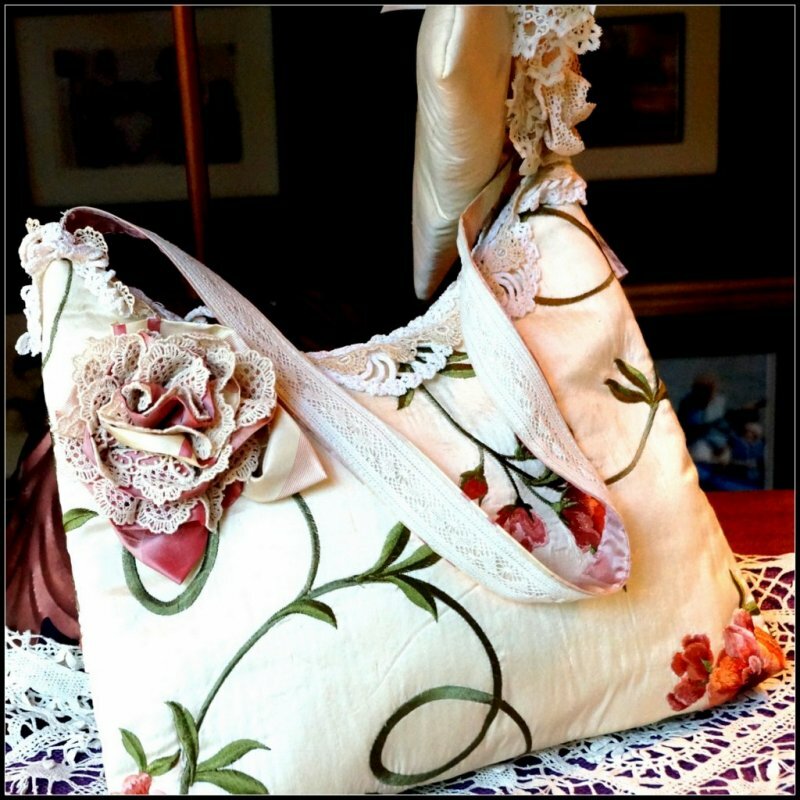 This style can be made in many fabrics – let us know your preferences. 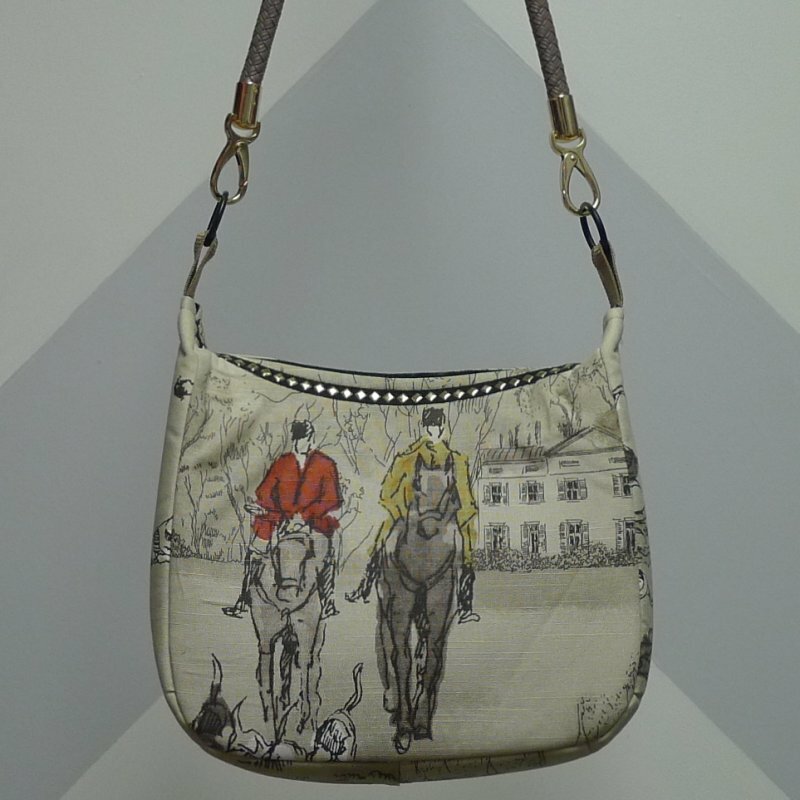 Large Messenger purse in Crosby Equestrian fabric; cross body web strap. 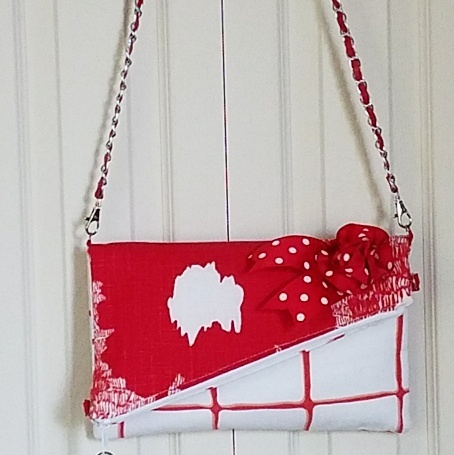 2 interior zippered pockets. 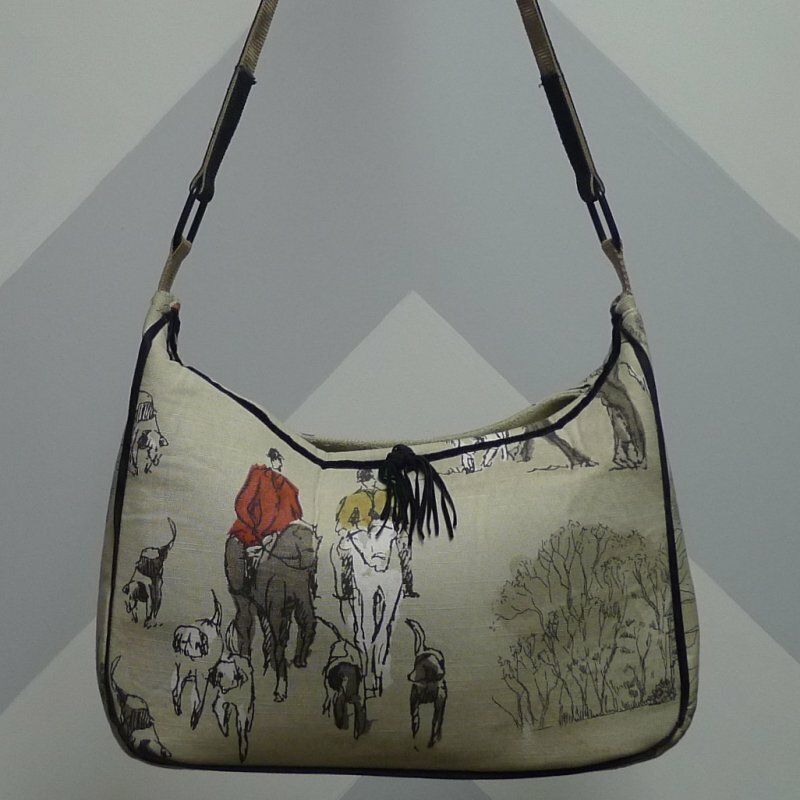 This style can be made in many fabrics – let us know your preferences. 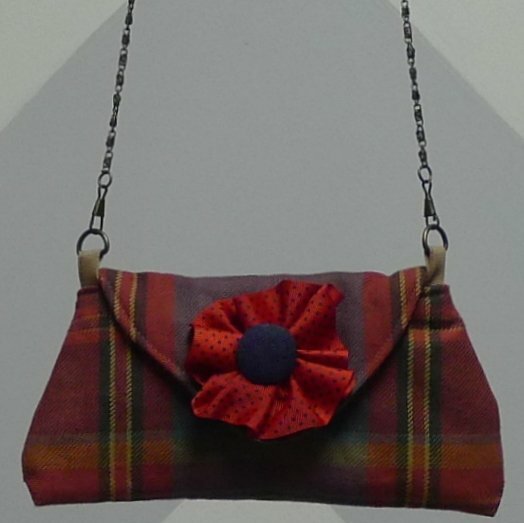 Mini clutch in red tartan with removable chain strap. 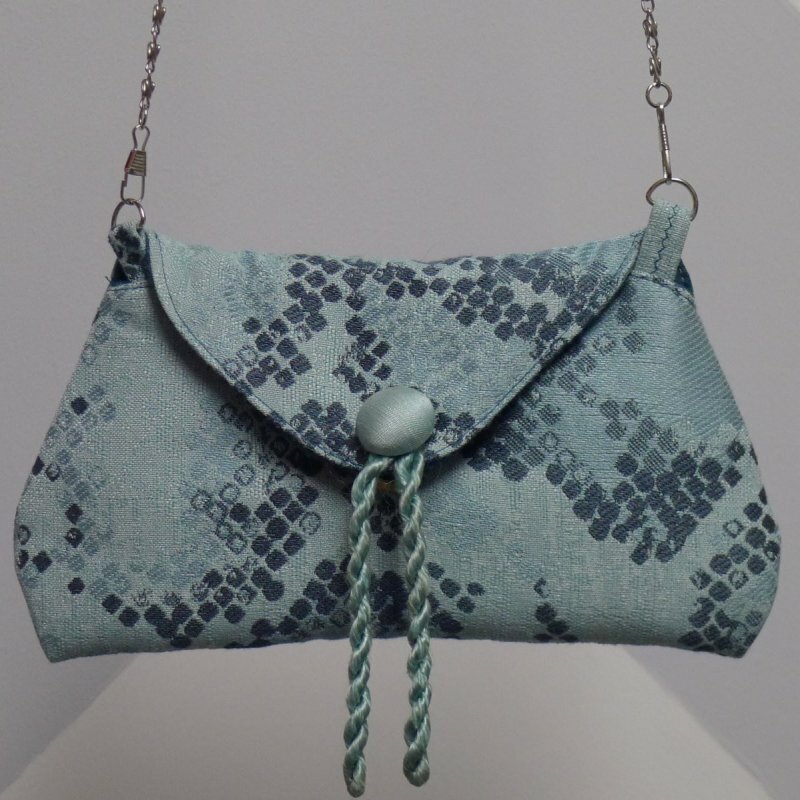 Mini clutch in serpentine woven with removable chain strap. 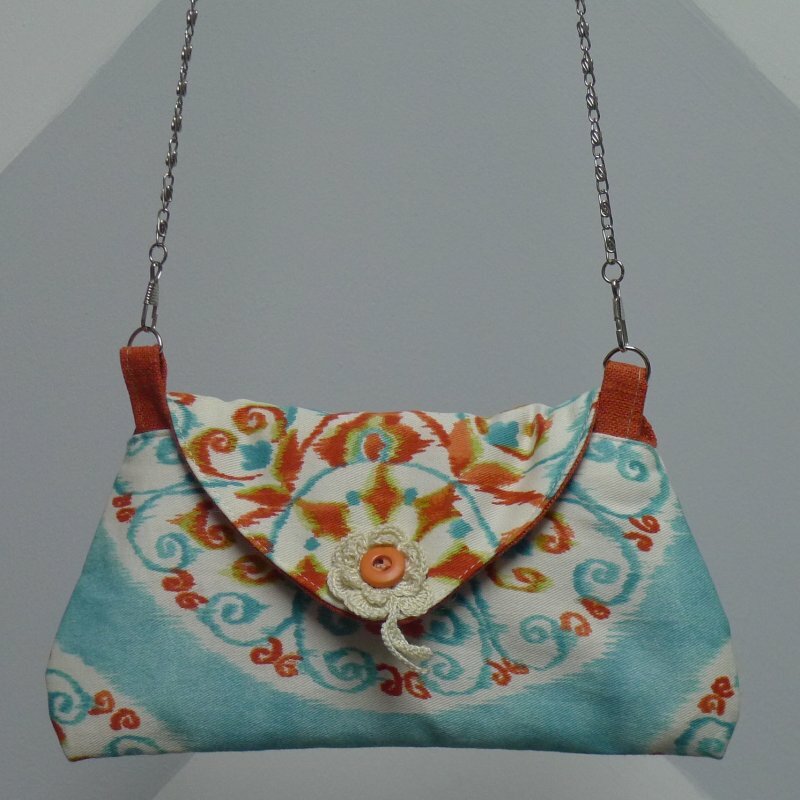 Mini clutch in coral suzani with removable chain strap. 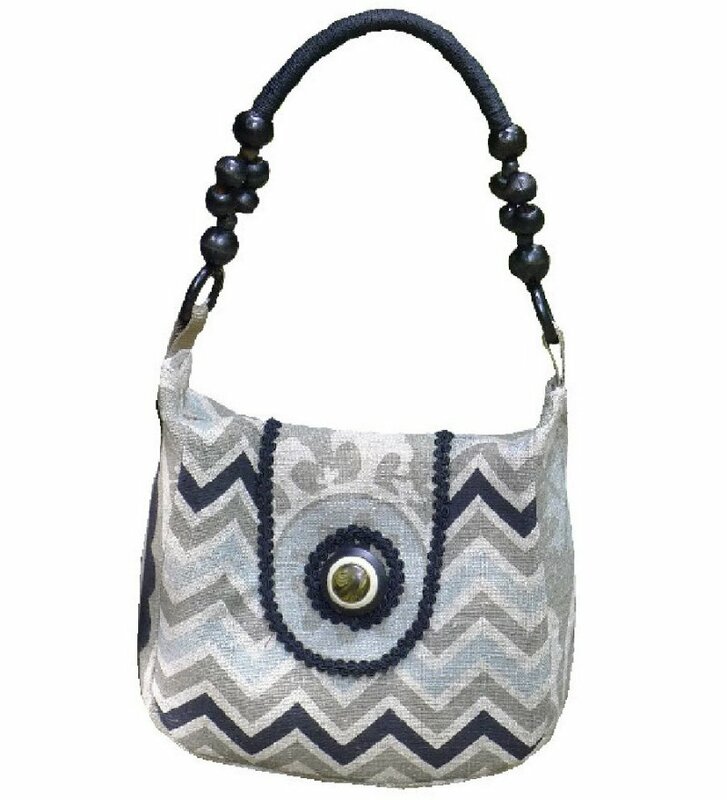 Mini clutch in gray suzani with removable chain strap. 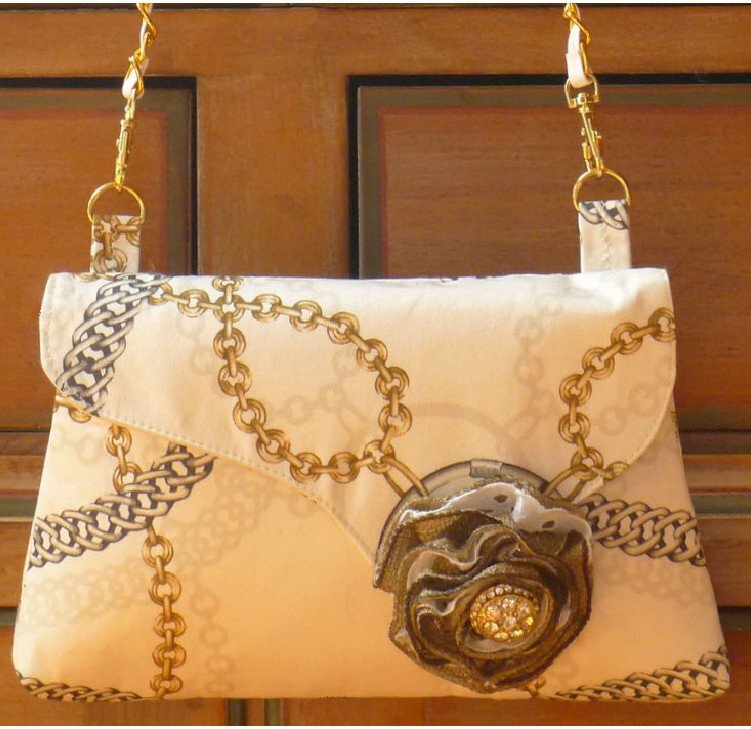 Mini clutch in tattersal with removable chain strap. 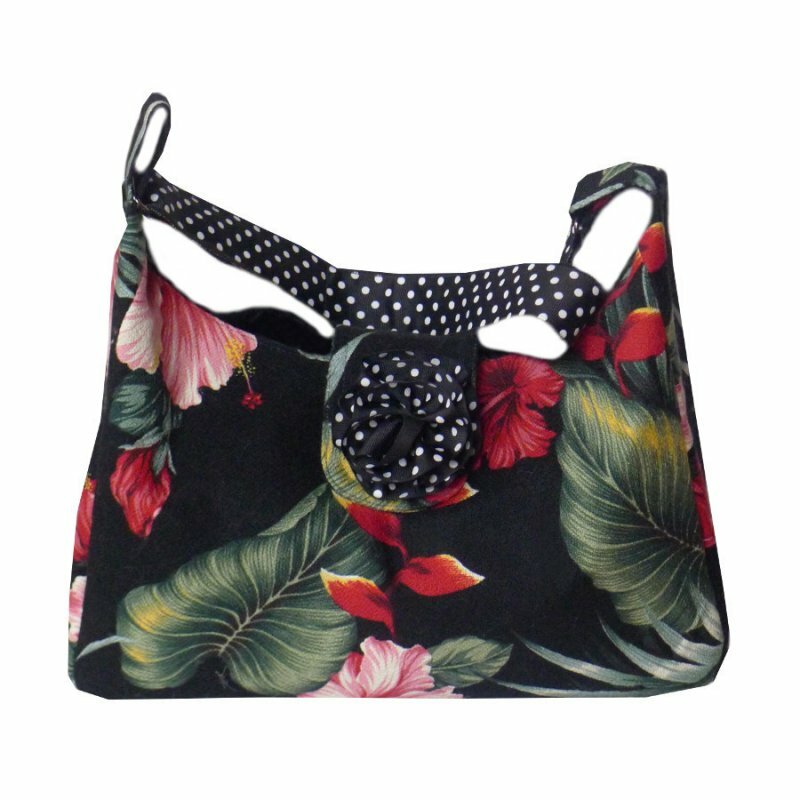 Mini clutch in tropical floral with removable chain strap. 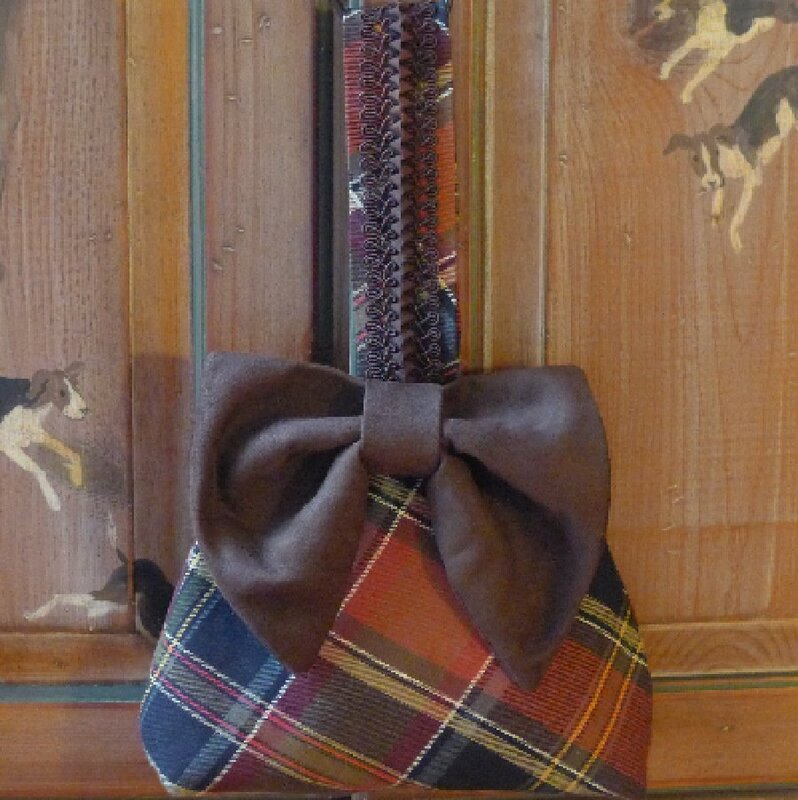 Vivian wristlet in Ancient Stewart tartan plaid, suede bow. 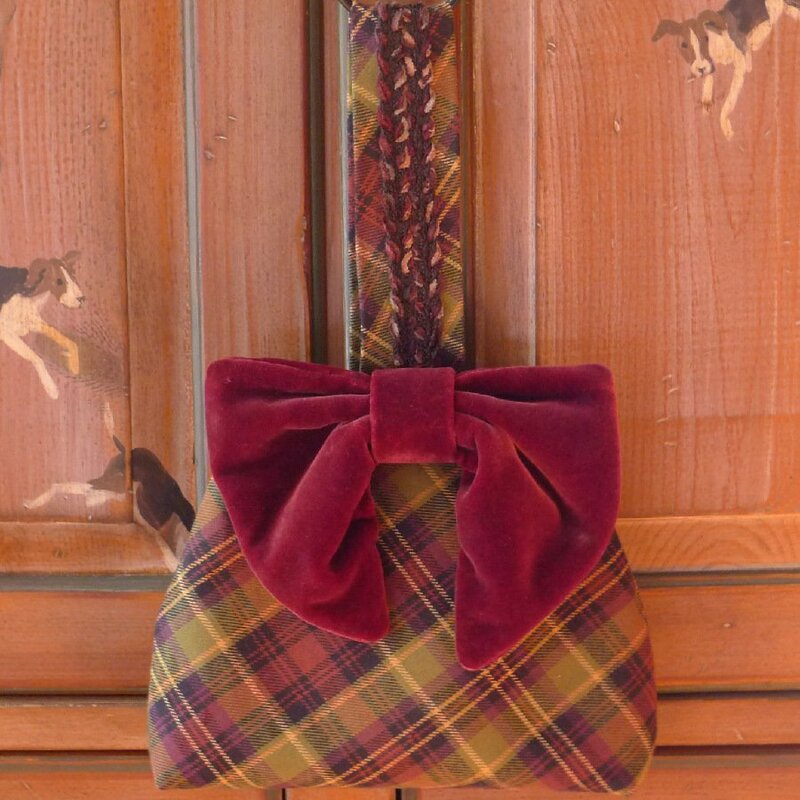 Vivian wristlet in Ancient Stewart tartan plaid, velvet bow. 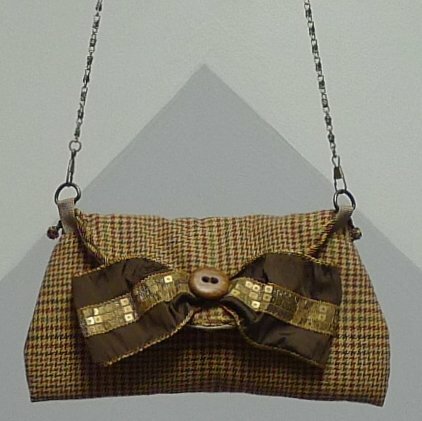 Vivian wristlet in gold windowpane check, velvet bow. 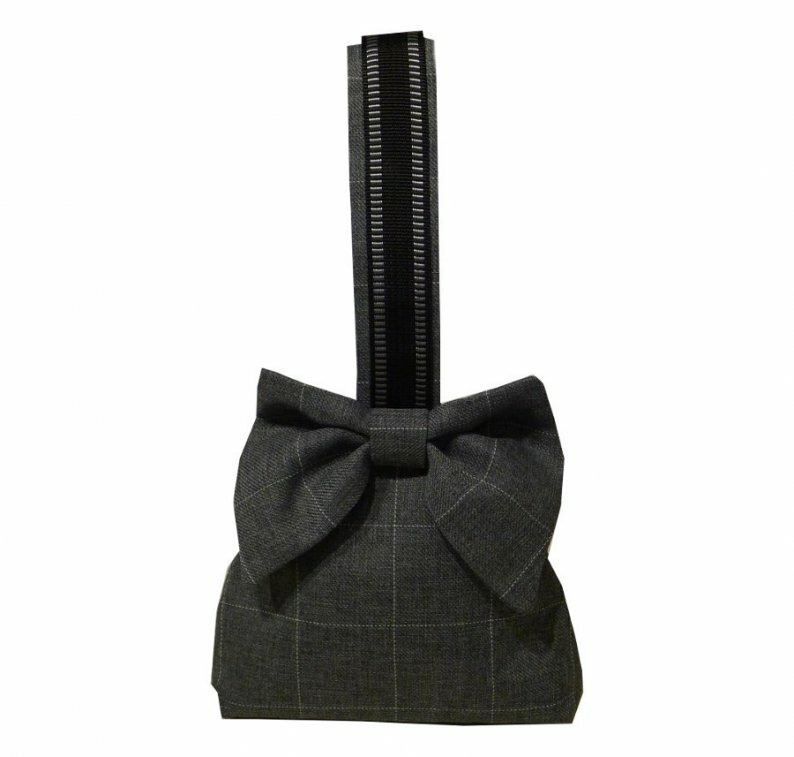 Vivian wristlet in gray windowpane check, matching bow. 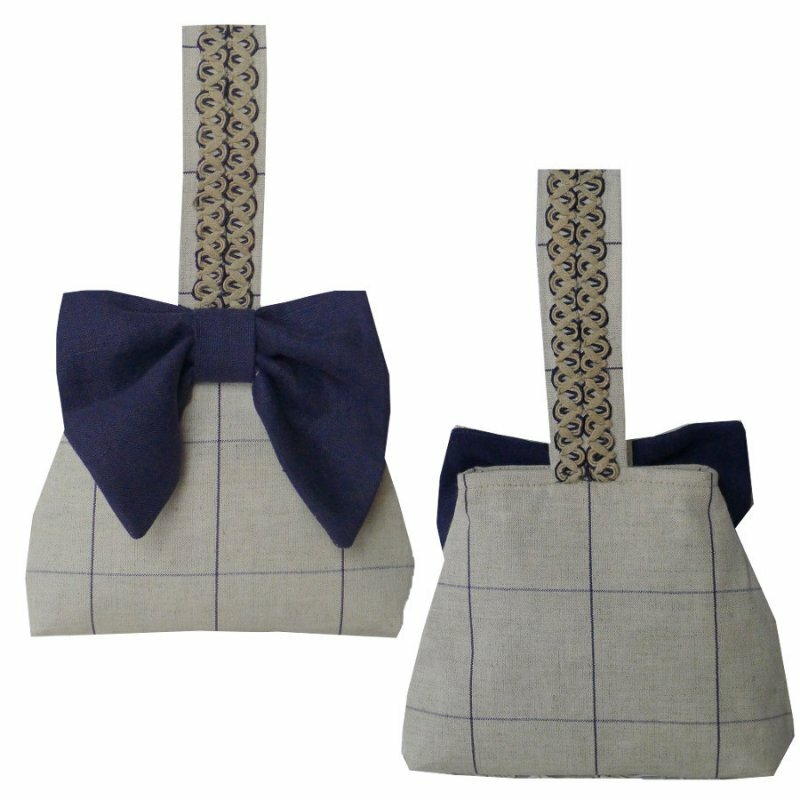 Vivian wristlet in beige and navy windowpane check, linen bow. 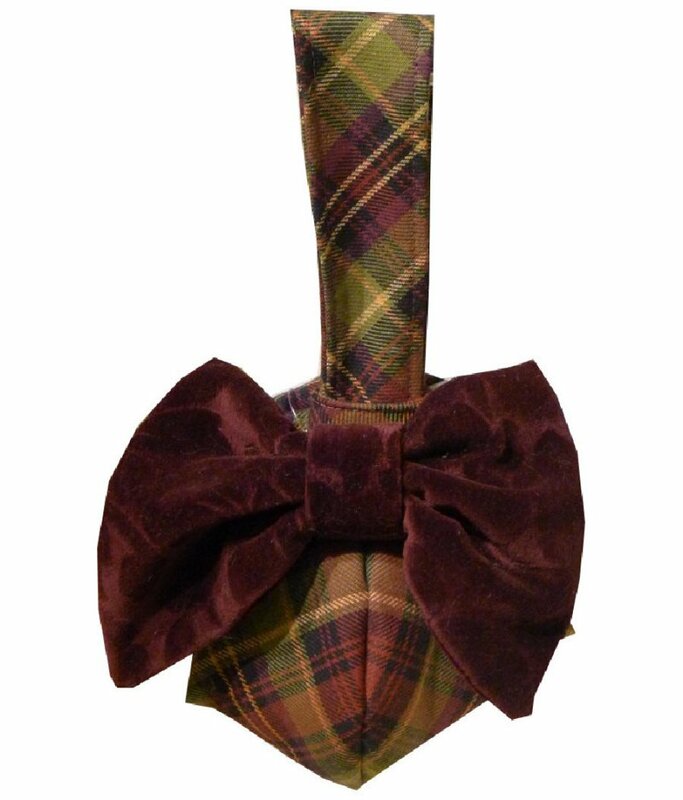 Vivian wristlet in Maclachlan tartan plaid, suede bow. 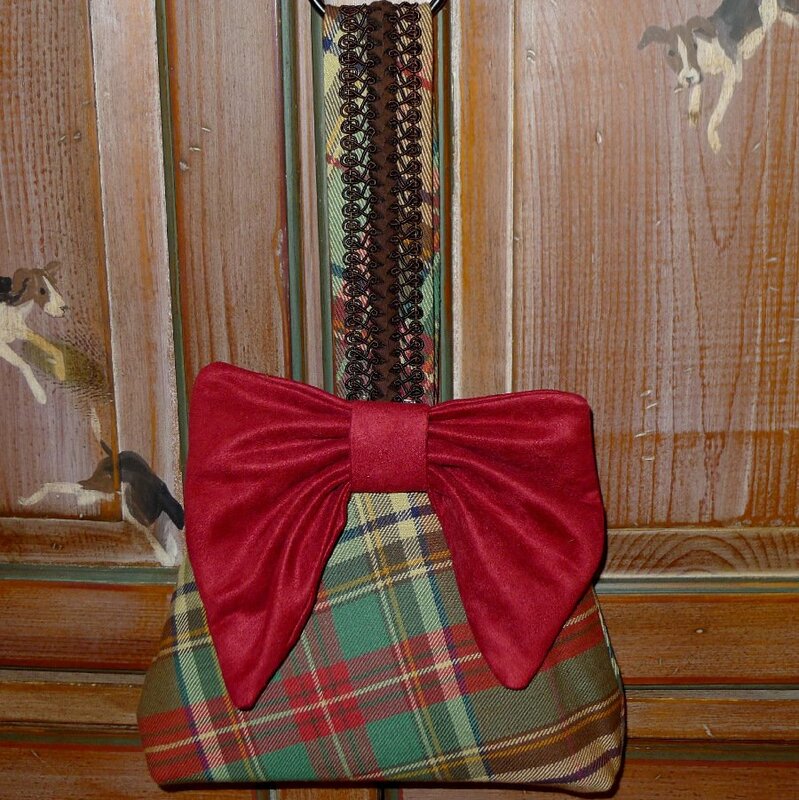 Vivian wristlet in tartan plaid, velvet bow.